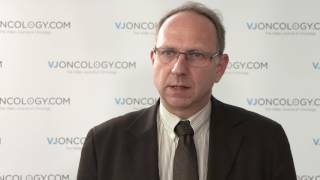 Markus Hartmann, PhD, from European Consulting & Contracting in Oncology, Trier, Germany, discusses reasons for divergent outcomes of health technology assessment (HTA) and drug pricing across Europe, which he presented at the European Cancer Congress of the European Cancer Organisation (ECCO) 2017 in Amsterdam, Netherlands. His study found that while around 80% of European Medicines Agency (EMA) approved medicines were approved by national appraisal bodies in Germany and France, this was only 66% in England (National Institute for Health and Care Excellence, NICE) and 54% in Scotland (Scottish Medicines Consortium, SMC). 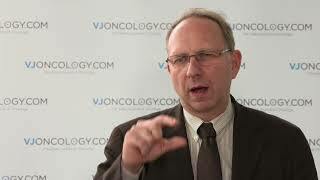 Dr Hartmann explains the lower approval rates in the UK, which are due to the fact that price of the drug is taken into consideration in the first step, while in Germany and France, the appraisal is a two-step process, considering only health technology assessment in the first step, with prices discussed in the second step. These differences make it difficult to evaluate prices across the EU, with individual countries negotiating prices with pharmaceutical companies. The final approval of a drug is often based on an agreed rebate by the pharmaceutical industry, and prices are kept confidential. However, there is also parallel importation or parallel trade, where drugs are bought in one country, and sold in a different country at lower rates than they are originally sold for in the recipient country. Dr Hartmann argues that this parallel importation is triggering the confidentiality about nationally agreed prices.